Individual traders might have many different views about trading and probably so it does for individual investors. Trading is little bit more micro operation than investment. Indeed, what trader needs is the highly accurate trading system or strategy making them more income for each month. Having said that every trader’s common goal is the profit, this perception toward this goal could be quite different to newbie in financial trading from the experienced one. Some newbie just want to have some strategy winning 90% or they might wish to increase their 1000 US dollar to 200,000 US dollar in few month time. Whether this goal is achievable or not, one thing every trader should know is that trading involves the risk of losing money. The risk is often proportional to your rewards. Controlling your risk can be either part of your strategy or it can be your entire strategy. The fact is that to make money in trading you won’t need 90% winning system but you can make good income from 50% winning system as well if your reward is much greater than your risk. So what you need to care is the Risk Reward ratio. Secondly to achieve exponential income like 200,000 US dollar from 1000 US dollar, you normally have to work a lot harder and longer hours, probably exponentially more. Plus it also depends on the efficiency of your trading strategy too. For this goal, compounding interest will work in your favour but spread and other frictional cost will be against your trading. Putting these two important factors in your trading, now you will think about how you should go about your financial trading. Here, we will introduce Price Breakout Pattern Trading in more general context. Price Breakout Pattern Trading does not need 90% winning to make money and it is relatively less sensitive to frictional cost like spread or commission. Therefore, such a trading techniques is suitable for both newbie and experienced traders. Prior to introducing Price Breakout Pattern Scanner, we will also introduce Renko charting techniques we devised recently because the Renko Charting make quite substantial difference to the pattern detection mechanism of Price Breakout Pattern Scanner. Renko chart was first developed in Japan. Renko chart is constructed by drawing bricks of fixed height in series. As shown in the figure below, if the price moved up by 5 points from the top of brick, then we will draw one white up brick. Likewise, if the price moved down by 5 points from the bottom of the brick, then we will draw one black down brick. The brick will be drawn either on the top or on the bottom of the other brick always. The colour does not matter and you can pick up any colour you wish. But it is important to know the property of Renko chart in comparison to normal candlestick chart for your trading. The figure below shows what happens when we transform about 50 candlesticks into Renko bricks with height of 40 pips. As you can see, Renko bricks are much more concise and 50 candlesticks can be transformed into only 18 Renko brick. During this transformation, we are losing timely information of our candlestick chart. Another important point you can observe here is that the fuzzy and irregular trend patterns in candlestick chart become much more readable in Renko brick chart. This is due to the fact that the equal height of Renko brick reduces a lot of noise present in candlestick chart. No doubt that with Renko Brick chart it is much easier to identify trend and turning points. The application of the Renko is also usable for identification of important support and resistance lines. Drawing the same support and resistance line on candlestick chart can be much more difficult. Also trader must note that in theory, whether you put Renko chart on M1, M5, M15, M30 or H1 time frame, you must have only one unique chart. In reality you will have slightly different Renko chart for different time frame. Smaller time frame would produce more accurate Renko chart. Therefore in theory tick chart will produce most accurate Renko chart. However, M1 or M5 is finer enough in terms of resolution to construct a good Renko chart. The best time frame to be used for practical reason is in fact M5 because mostly Meta Trader terminal has very short historical data for M1 time frame. Depending on your purpose, M15 time frame can serve to construct a good Renko chart too. • Because Renko chart lose all time information from normal candlestick chart, you are no longer able to compare your normal candlestick chart to your Renko chart. For example, if you want to develop trading strategy based on RSI from normal candle stick chart but you want to use Renko brick to trigger your signal, then this is extremely difficult for backtesting. It is simply because you don’t know which RSI values are corresponding to which brick and vice versa. • Renko chart compress price history quite a lot. Therefore, you might get much less signal from Renko chart. • Last Renko Brick might repaint (however, this never bother my trading to be honest). Meta Quote Language 4 or 5 is not friendly for Renko chart in spite of its comprehensive functionality for other purpose. To create proper Renko chart in Meta Trader, one must do some work around. Many existing solutions are quite buggy, troublesome and unverified. Therefore, we were decided to develop our own solution for Meta Trader 4. When you attach the Real Time Renko indicator to your chart, you will not be asked to open any offline chart or do another confusing steps, but Real Time Renko Indicator will open new Renko chart on Separate Window automatically. You can use them straightaway for your trading. Real Time Renko will update its brick in real time when a new tick arrive to your terminal too. For Real Time Renko indicator, you can specify brick height in both standard deviation (z score) or in pips. Because the most important application of Renko chart is to identify price movement, it is quite logical to have the option of using standard deviation as its brick height. Brick Height Mode 1 uses standard deviation. When you set Brick Height Mode =1, your Brick Height value 1.0 indicates that you are going to use 1 standard deviation as your fixed brick height. You can use the sensitive z score value like 1.68 or 1.96, etc. It is very good habit for traders. Brick Height Mode 0 uses just normal pip values. Brick Height value in this case will be the pip height of the Renko Brick. You can use both options according to your preference. Time Frame used for Brick Calculation is the base time frame the indicator will perform its calculation. The selected Time Frame for calculation in your inputs must match for the time frame of your current chart in which you have attached your Real Time Renko indicator. Otherwise you will get warning and the Renko chart will be not created. Below Screenshots shows Renko chart when it attached on EURUSD M5 time frame. In fact M5 time frame is most recommend because it offer fine resolution for Renko brick calculation plus normally brokers fill quite sufficient historical data with M5 time frame whereas M1 might be too short for Renko Calculation. As we have discussed before, the trend identification is much easier with Renko Brick chart. Also support and resistance identification is much easier too. Most important finding with this screenshots are that quite a lot of standard technical indicators works a lot better with Renko chart. Especially with Bollinger band and RSI looks fantastic together with Real Time Renko Indicators. Smart Renko Indicator is one variation of Renko chart. Smart Renko was designed to tackle the question like: “How to combine the signals from the normal candlestick chart together with Renko Brick?” Obviously there is no perfect system or strategy on its own. Trader’s job is consistently improving their trading strategy by looking for other methodology. Literarily Smart Renko tackle the drawback of Real Time Renko. It does its job by layout all the Renko Brick on the candlestick chart plus it shows normal Renko Brick Chart on its sub window. So traders can utilize both candlestick and Renko chart together for his advantage. Screenshot below shows the 30 days moving average on candlestick chart. Blue and Red bricks are respectively up and down Renko Brick. As you can see from the screenshot below, Moving average cross over is confirmed by Red down Renko brick. This is just one example conveying normal moving average cross over combined with Smart Renko Chart together. Another good usage for Smart Renko is to use them as instant stop loss or take profit target for your trading. It is also good idea to use Smart Renko for trail stop of your existing position. Between Smart Renko and Real time Renko, it is difficult to compare as these two indicators does quite different jobs for traders although they uses both the same calculation to construct Renko Brick. Here is brief summary of some idea using Smart Renko for your advantage. 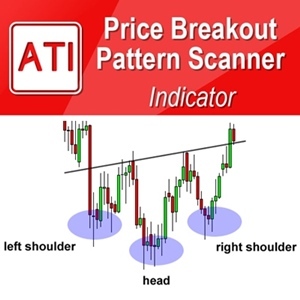 The trading principle of the Price Breakout Pattern Scanner is based on the technique trading when the price breakout outside defined support and resistance level confirmed by the above patterns. In the screenshot below the detected symmetric triangle defines potentially quite important support and resistance line. Indeed when price breakout above the resistance line, the top boundary of triangle, it provides good buy opportunity to traders. Likewise, the screenshot on the bottom shows another textbook example of triple top patterns breakout. The triple top pattern defines very important support line. When the price breakout below this support line, it will provide very good sell opportunity to traders. Now you can see that the very basis of Price Breakout Pattern trading is the identification of important support and resistance line. 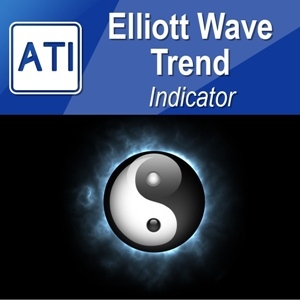 Of course, trader can always expands the trading idea with secondary confirmation tool like moving average, RSI or Stoch, etc. With some backtesting, you will soon find out that this Price Breakout Pattern Scanner can really lend you the valuable pattern detection ability to your trading regardless of your trading experience. Also for relative large patterns, trader might trade when the price bounces back inside the patterns too. This extension of trading idea is not really difficult to imagine when you treat the boundary of the patters as support and resistance lines. Additionally the risk reward ratio for this type of trading strategy is huge comparing to other trading strategy. Therefore we often recommend this type of trading style to both junior and senior traders. Going back to our discussion of Renko chart, Renko chart can be great supplementary to Price Breakout Pattern Scanner. The reason being is that both Renko brick and Price Breakout Patterns are based on price action. The Renko brick is stacked up in equal pip height always notifying traders the current trend and possible point of breakout. Figure below shows one such an example. When the price breakout the support line on the bottom of triangle, trader can confirm his sell entry with first red brick. Then he can successively follow the red brick until the blue brick appear notifying him the possible trend change. Smart Renko offers advantage to traders using Price Breakout Pattern Scanner because traders can always trace what market is doing visually after he took the position. Instead of using just random pips as stop loss or take profit, it makes much more sense using each brick as the guide line for stop loss, take profit and trail stop. Advantage of applying Price Breakout Pattern Scanner on the Real Time Renko indicators is slightly different from applying Price Breakout Pattern Scanner on the Smart Renko. 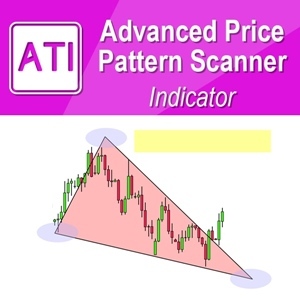 This is because Price Breakout pattern scanner will detect patterns on totally different data set. With Smart Renko, the original candlestick data in your chart won’t be modified but with Real Time Renko, the original candlestick data will be transformed to equal height Renko brick. Therefore, when you apply Price Breakout Pattern Scanner on Real Time Renko, your detected patterns are based on these equal height Renko bricks. The mentioned advantage of Real Time Renko in previous section exactly applicable to this case too. For example, identifying important support and resistance line is much easier with Renko Chart, therefore, the detected breakout patterns are much clearer too due to less noise present in Renko Chart. At the same time, with real time Renko you can also confirm your trend too in the same chart. However you might get fewer signals when you apply the Price Breakout Pattern Scanner to the Real Time Renko. Between Smart Renko and Real Time Renko, it is difficult to say which one is more beneficial to Price Breakout Pattern Scanner. It is because both indicators produce totally different chart and data to detect patterns and it is not easy to compare apple to apple using these two different approaches. It is also much down to what kind of strategy you are using too. For example, if you use a lot of standard indicators to supplement Price Breakout Pattern Scanner, then you will prefer to use Smart Renko over Real Time Renko. If you like the clean chart of Real Time Renko and you don’t mind to develop new strategy using other indicators on Real Time Renko Chart, then it is better to use Real Time Renko. One thing that trader should know that is normally the number of detected patterns will be reduced with Real Time Renko. It might be good idea to develop strategy based on Smart Renko, Real Time Renko, and Price Breakout Pattern Scanner together or at least this combined approach can give you more comprehensive snapshot of the current market. 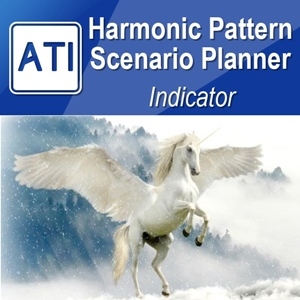 Finally, Price Breakout Pattern Scanner also provide you the guided trading instruction as in Harmonic Pattern Plus and Harmonic Pattern Scenario Planner. 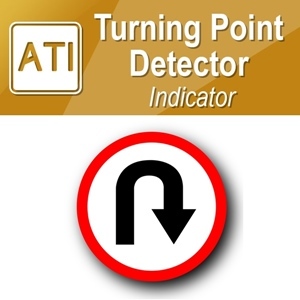 You can always bring this information by clicking small “GTI” button in your chart. 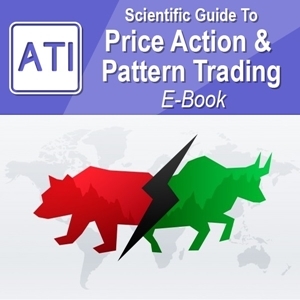 This guided trading instruction (GTI) will help you to trade in more organized sense and with more objective target goal. GTI will help you to control your trading psychology during your trading. It is very important to stick with your initial plan and your initial goal. Each of your orders must constitute the part of your overall trading plan. You never just trade impulsively. When you know your target goal, it is much easier to take your loss. For this reason, we recommend you to understand these numbers in the Guide Trading Instruction before your trading starts. 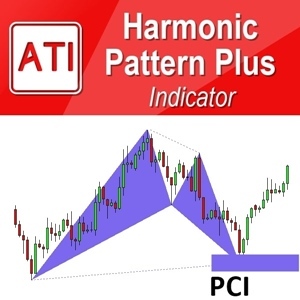 Unfortunately calculating and displaying custom stop loss and take profit target in your chart is much more complicated in Price Breakout Pattern Scanner than the case of Harmonic Pattern Plus. Therefore, GTI will only show you the Risk Reward Ratio. It is trader’s job to define custom take profit and stop loss level before sending an order. Even you may need few mouse click for this task but this is still quite easy to perform using the crosshair in your Meta Trader terminal. To calculate the lot size for your chosen risk, you can use our free vision of Order Risk Management EA or Order Risk Management EA Pro version. Of course, the Pro version have much more sophisticated features which the free version does not have. For example, you can set buy stop or sell stop order with take profit and stop loss in just few mouse click. Also Pro version can help you to breakeven and trail stop of your existing position when they are in profit.